North Augusta, SC……....Larry G. Lamphere, 44, devoted husband of Kyle R. Lamphere, entered into rest on Saturday, April 13, 2019 at his residence. His funeral service will be held at 9:00 AM on Wednesday, April 17, 2019 at True North Church with Rev. Steve Davis officiating. Interment will be private. Larry was a devoted public servant. He spent 8 years as a law enforcement officer in Vermont serving with the Windsor County Sheriff’s Office and the Norwich Police Department. He and Kyle moved to South Carolina in 2008 and Larry took a break from law enforcement to own and operate his own landscaping business as well as serve Cold Creek Nurseries as a manager. Like many in law enforcement, Larry couldn’t stay gone long. In 2013, Larry joined the Aiken County Sheriff’s Office where he flourished as a deputy. 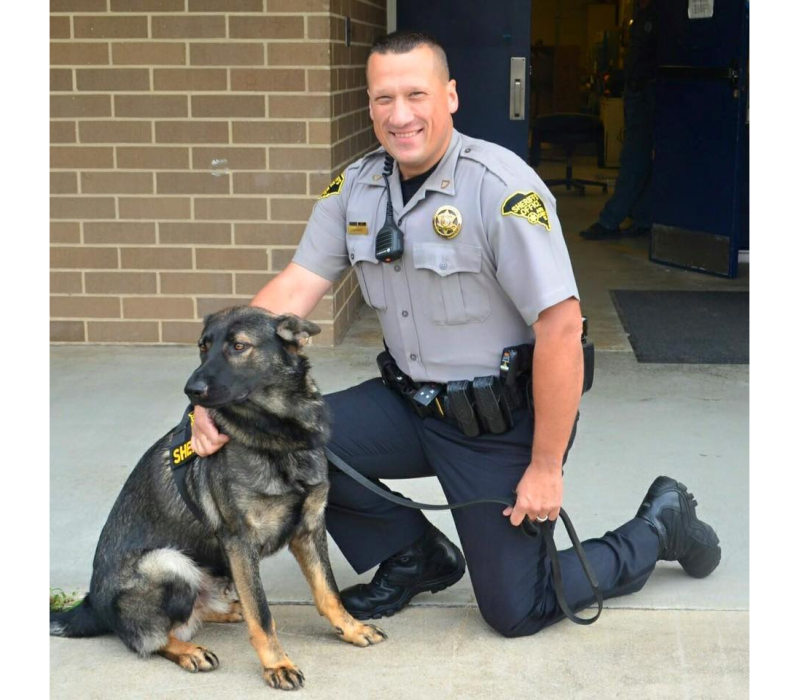 For 5 years, he and his partner Prado kept the citizens of Aiken County safe. In addition to his patrol duties, Larry was a member of the Honor Guard and the Crisis Negotiation Team. He was a US Army veteran and a member of the Patriot Guard Riders. When Larry wasn’t working, he loved to be outdoors, particularly at the beach where he and Kyle would collect shark’s teeth. Additional survivors include his mother, Annette Lashway (Barry); his father Larry G. Lamphere, Sr.; his sons, Austin Thibodeau, Zachary Putnam and Christian Lamphere; his daughter, Alexis Lamphere; his siblings, Patty, Kaylynn, Jeremiah and Forrest; nephews, Dylan and Colby and a niece, Halle. Honorary pallbearers will be members the Aiken County Sheriff’s Office, D-shift. The family will receive friends at True North Church on Tuesday, April 16, 2019 from 4:00 PM until 7:00 PM.